New Delhi, Feb 9 :Indian Parliament will be the fourth legislative body after Singapore, European Union and the US Congress to probe into the issue of abuse of political content and conduct of the popular and globally acclaimed micro blogging site Twitter. The parliamentary Standing Committee on Information and Technology headed by BJP lawmaker Anurag Thakur and which also has veteran L K Advani, has already written to the Twitter to depute a senior executive before the panel on February 11. Sources said next meeting of the panel will be on Monday, February 11 when the committee will take cognizance of the "views of the representatives" of the Union Ministry of Electronics & Information Technology and Twitter on the subject 'Safeguarding citizens rights on social/online news media platforms'. The committee in two of its crucial sittings on January 16 and 31 had heard the views of the representatives of Bharti Airtel Ltd and Bharat Sanchar Nigam Ltd on 'Issues concerning call drops' and also the views of the representatives of Reliance Jio Infocomm Limited and the Department of Telecommunications on 'Quality of services and call drops-Review of Progress'. Among others the panel has members such as Prasun Banerjee (Trinamool), Hema Malini and Virender Kashyap (both BJP), P Karunakaran (CPI-M), Raj Babbar (Congress) and K G Kenye (NPF) besides Mr Advani and Mr Anurag Thakur. Meanwhile, sources said the Twitter top bosses have declined to 'appear' before the Parliamentary Committee. In a communique to the panel, Twitter has expressed inability for its CEO to appear before it saying it was called in for appearance with a very short duration time gap. Facebook and Instagram users will begin to see political ads with “published by” or “paid for by” disclaimers, and will also have access to a searchable ad library to learn more about such campaign statements, video clippings etc. In a blog, he further wrote: "We have made more than 70 product, policy, and operational changes since the beginning of 2018, all with the aim of making people feel safe expressing themselves on our service.....To be clear, we do not review, prioritize, or enforce our policies on the basis of political ideology. Every Tweet and every account is treated impartially. We apply our policies fairly and judiciously for all". 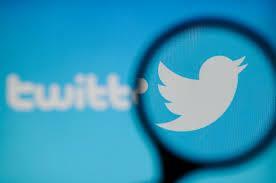 "We have a specialized, global team that enforces the Twitter Rules with impartiality. Twitter India employees do not make enforcement decisions. This is by design to ensure fairness and objectivity," he wrote. The central government has formulated lately new IT guidelines where social media platforms have to remove within 24 hours any unlawful content that can affect the "sovereignty and integrity of India". US President Donald Trump had recently slammed Twitter for "shadow banning" Republicans.